Use the same process described in Using Net Use to Re-establish Network Shares After VPN is Established Through a Captive Portal to find and create the event trigger. The steps from the other post are included below. Start the Windows Event Viewer and look for a useable event for the trigger. In my case, under Applications and Services logs I found an event logged upon successfully establishing the VPN. To facilitate a rapid deployment of NoMagic's Cameo Enterprise Architecture (Magic Draw), the thick client products can be run on Windows 2012r2 servers running as application servers. Additional Remote Desktop Services (RDS) Client Access Licenses (CALs) will allow the application server(s) to provide for simultaneous use of the products. This white paper identifies the memory and core (CPU) sizing for the RDS servers to satisfy the user requirements for using these products on application servers. For details, obtain the whitepaper here. 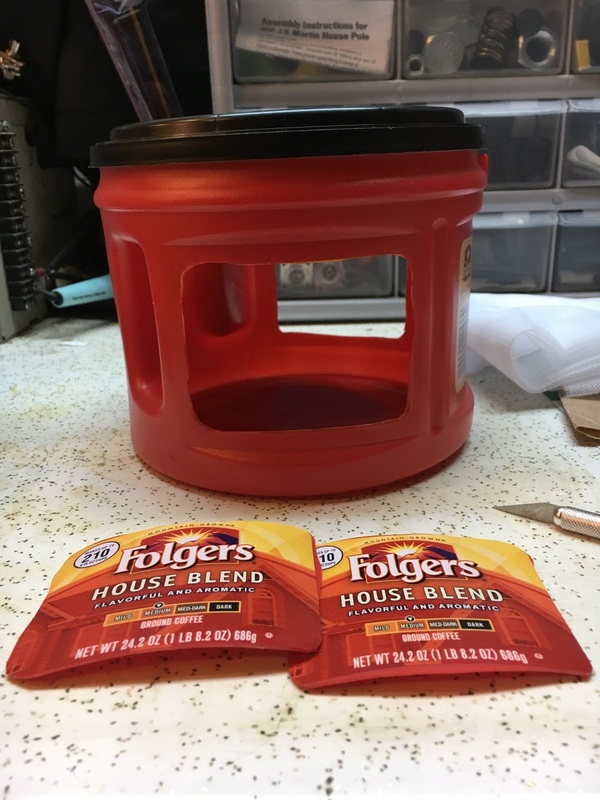 Here is a quick and easy way to make a bug box out of a used coffee container. 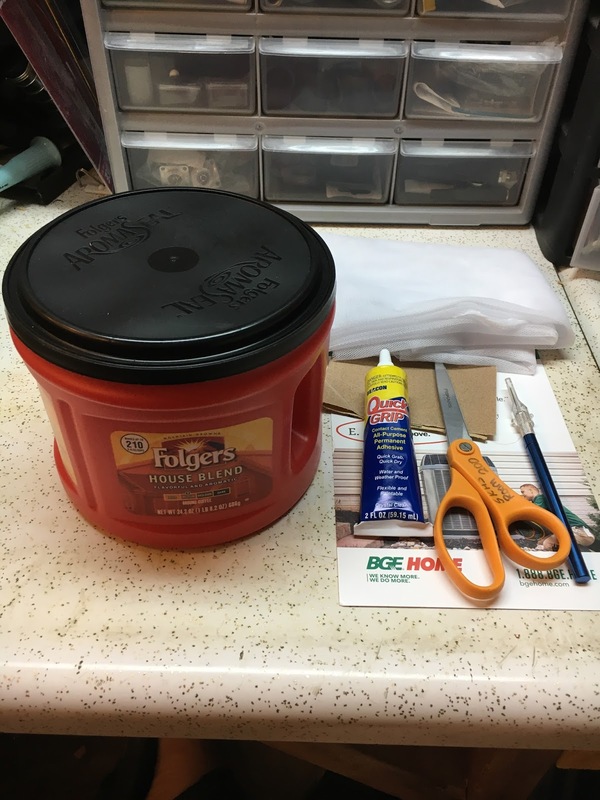 If you have all the supplies then this will take under 10 minutes to create a bug box. To make the bug box you will need the following items. 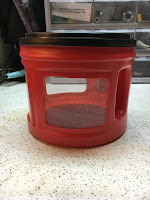 A used and cleaned plastic coffee container. 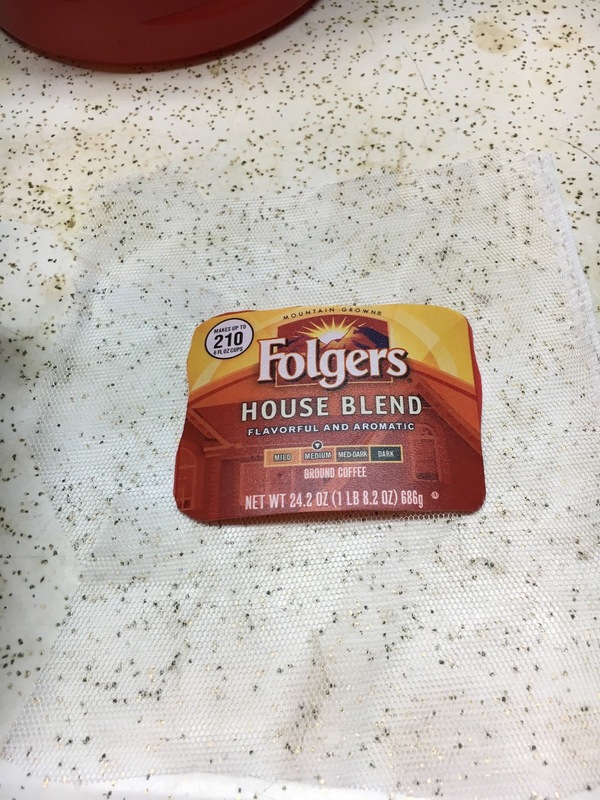 A Folger's 30.5 oz container works well. Mosquito netting utility fabric. Jo-Ann Fabric sells a mosquito netting utility fabric. An X-ACTO Knife or other (sharp) knife. Glue gun, glue (for plastic and fabric Quick Grip works well). Sandpaper or something to rough up the plastic before gluing. Something to press the netting to the glue. Thin card stock works. 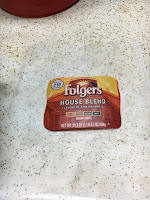 Start by taking the coffee container and use the knife to but out the Folger's label. Now, make the same cut on the back side of the container. Try to not but to fall outside of the line. The area immediately outside of the cut will be for the glue. Next, take the label cut from the container and lay it on the mosquito netting and cut the mosquito netting about 1/2 inch larger than the plastic label. This is cur wider so it will overlap the glue and adhere to the container. Take the sand paper and rough up the area on the inside around the area that was cut out. This will help the glue adhere to the plastic. 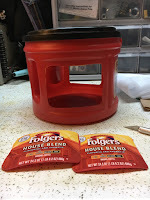 Now, take the glue or glue gun and put a bead of glue on the inside of the container around the opening. Lay the mosquito mesh over the glue and use cardboard or the plastic label cut out to press the mosquito mesh into the glue. Before the glue dries you can adjust the mesh to remove wrinkles. To keep the container from rolling, I found it helps to place it on the lid. Repeat for the other opening. There you go! You now have a bug box. 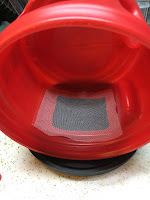 Let the container and mesh sit per the drying duration on the glue used. After the glue dries, kids can use the container for bugs, fireflies, frogs, or I suppose small snakes. Whatever you and your kids chose to put in the container, enjoy the fun of them learning. Having flat wide feet can greatly limit a person's shoe selection. The show needs to be available in wide widths, with a removable insole, and comfortably accommodates orthotics. These requirements can reduce the limitless shoe selection down to only a few brands. I have had insole orthotics since my 7th grade running days and until December 2016, have had to suffer with finding shoes that fit both my wide foot and orthotics. I've had custom orthotics made for $300-$500 a pair and results are not always great. One pair was supportive but I was never able to find a shoe that comfortably accepted the orthotics and my feet. 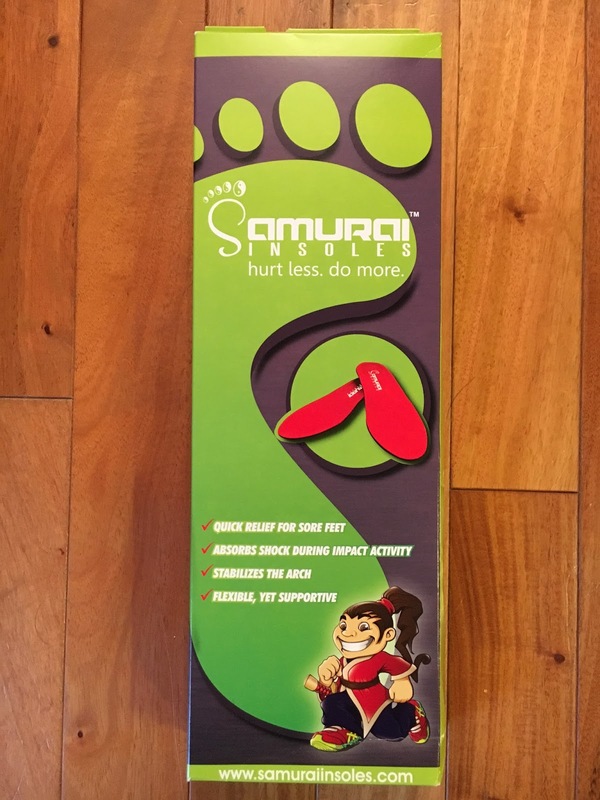 My current custom orthotics require replacement and while I have tried OTC orthotics over the years, I have not had any luck until I found orthotics from Samurai Insoles. 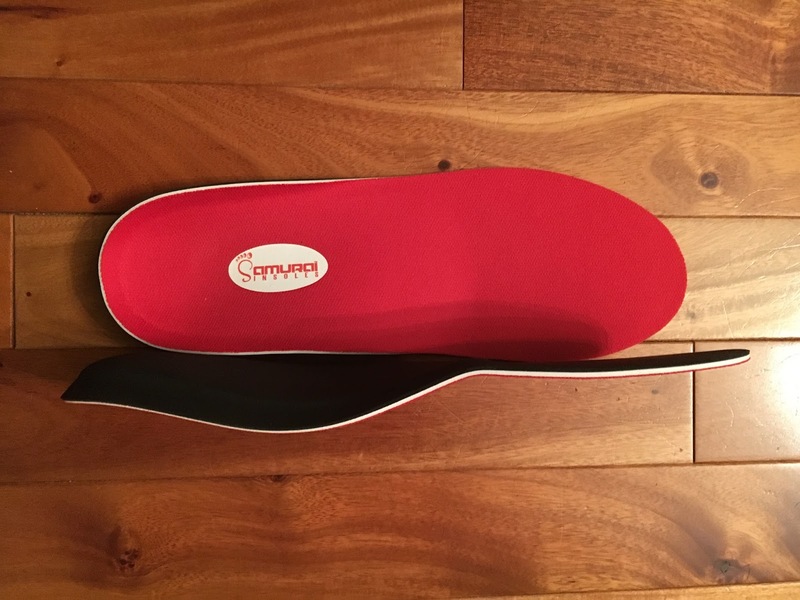 Plain and simple, these insoles are wonderful only $40! TIP #1: We recommend a new(ish) pair of quality, well fitting sneakers, boots, or clogs to go with your Samurai Insoles. If they have a manufacturer's insole that can be removed and replaced with our insoles, even better! TIP #2: Simply remove the manufacturer's insoles from your shoe, and replace them with your new pair of Samurai Insoles. TIP #3: Samurai Insoles are designed to fit in your shoes without any trimming necessary. But hey, there's LOTS of different sizes and shapes of shoes out there! 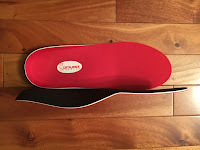 So, if your insoles have an uncomfortable amount of excess material at the toes trim a small amount of material away from the front of the insole only. TIP #4: You'll notice a rim where the padded case has been vacuum sealed to our unique orthotic shell in the heel area. Yes, this should be there! As part our unique design, the material around the orthotic shell is simply to anchor the insole to your shoe. You should not feel the vacuum sealed rim during use. If you do, please let us know. TIP #5 (LAST, BUT MOST IMPORTANT): We recommend becoming accustomed to your Samurai Insoles over the course of 7-14 days. Start off by wearing your Samurai insoles about an hour the first time, then replace them with your shoe manufacturer's original insoles. Repeat this process every day, adding an additional hour of use with each successive day, until you reach 8 consecutive hours of use. If your feet become fatigued while wearing Samurai Insoles, remove them at that point, and wear them the following day for the same time period, increasing the amount of time worn by an hour each successive day. 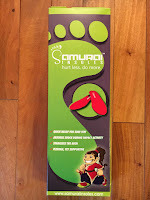 If you are searching for OTC insoles, I highly recommend the Samurai Insoles. Check them out on Amazon. As always, YRMV.